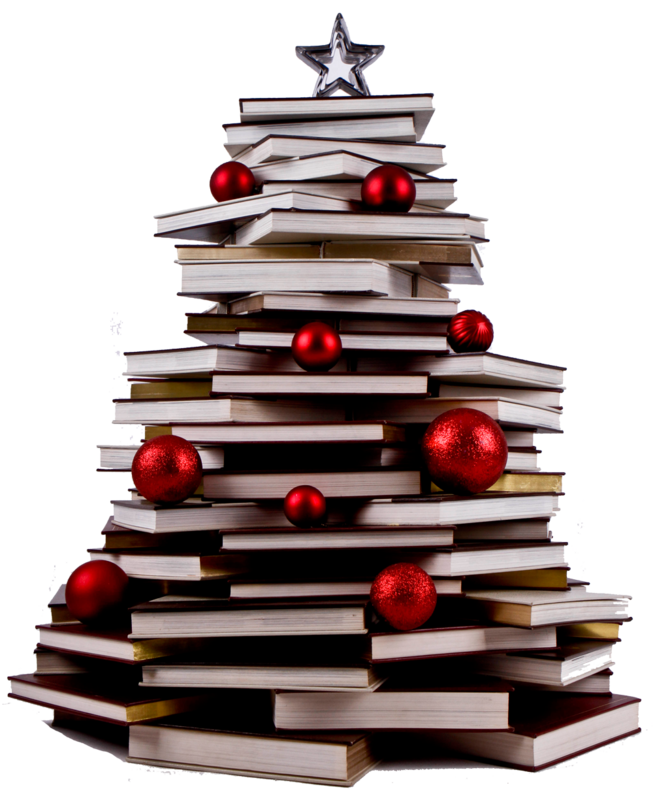 Last year I shared some of the Christmas books in my collection. 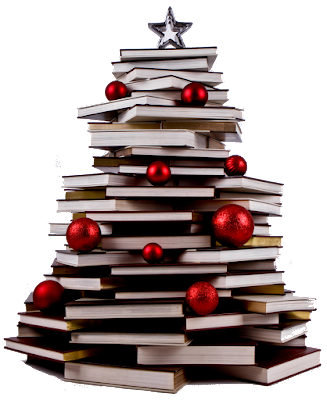 I'm always looking for books that inspire Christmas movies and TV specials, and books created from Christmas TV specials and movies. Did you see Part 1 and Part 2? Click the links to see those again. Those earlier essays were so popular, I thought I'd share more of my collection. Christmas music collector Jeff Fox gave me this book. Thanks Jeff! 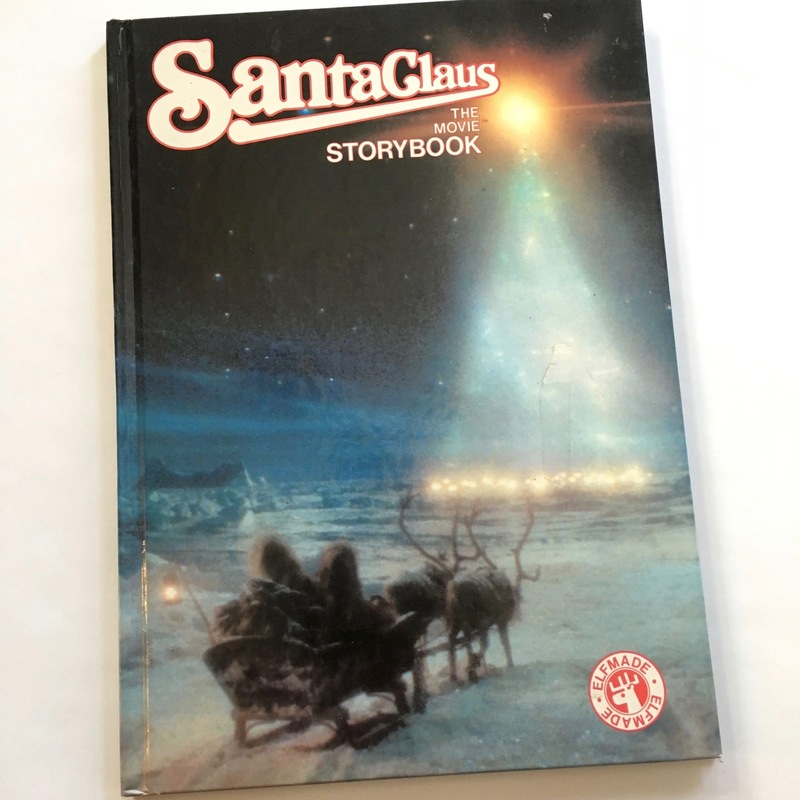 It was adapted from the 1981 animated Christmas TV special B.C. 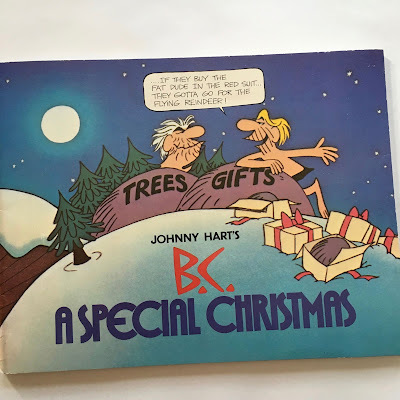 : A Christmas Special based on the characters from the popular newspaper comic strip by Johnny Hart. 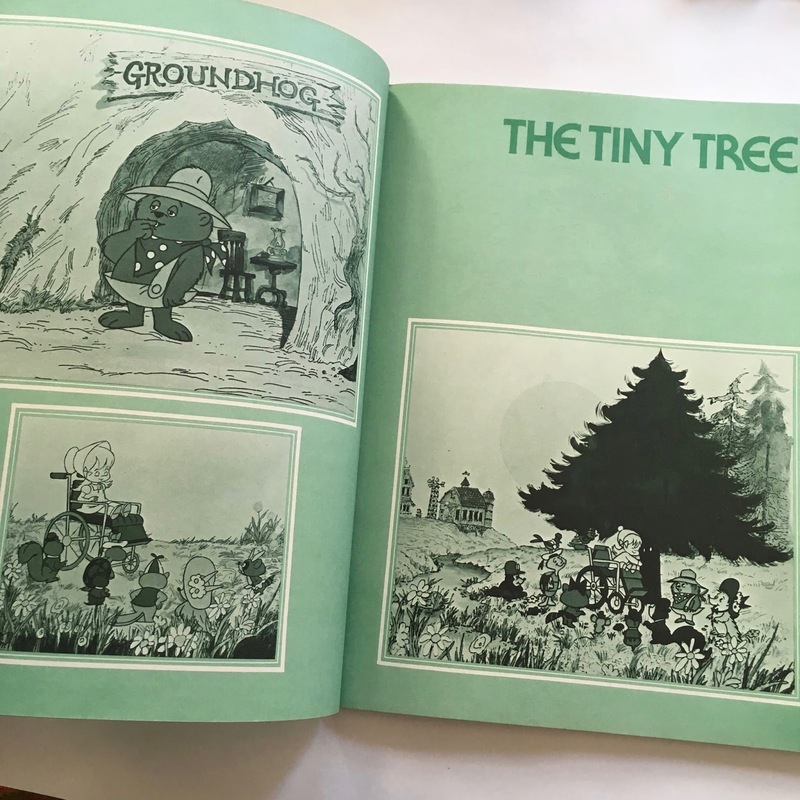 The full color pages of the book were taken directly from the images created for the cartoon TV special. This book is noteworthy for how rare and nearly forgotten the animated special has become over the years. Pardon my fingers but I wanted to capture the inside double page spread of original art work. 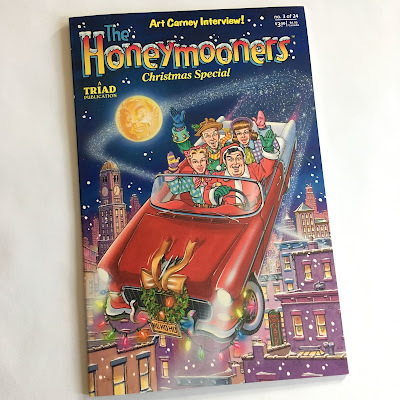 Speaking of comics, I also have the 1987 comic book from Triad Publications which is the Christmas edition of The Honeymooners. The Christmas one is #3 of 24 in the Honeymooners comic series. 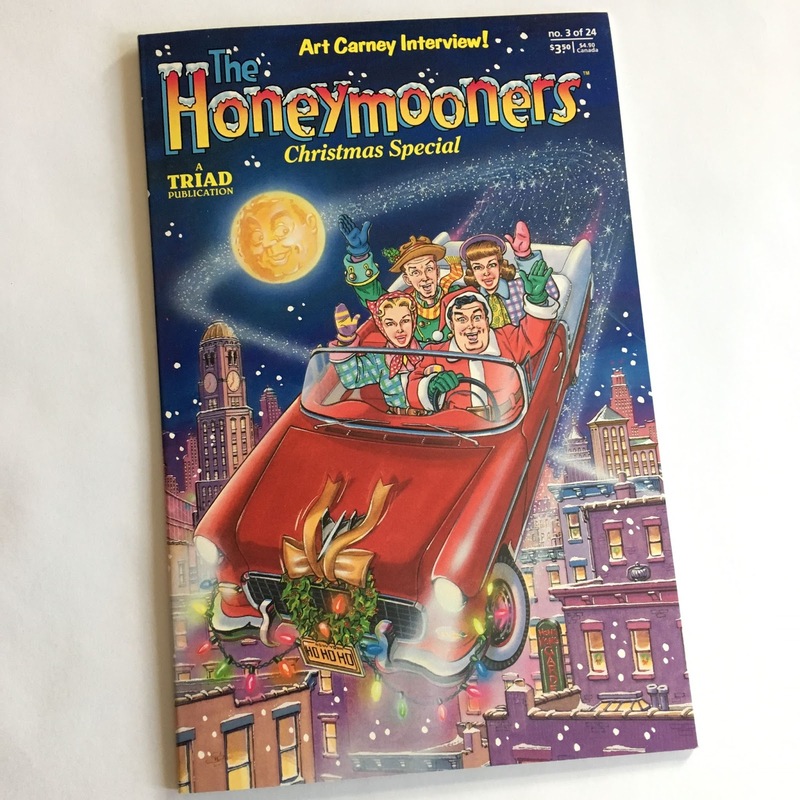 The story in the comic book is not adapted from one of the many Honeymooners Christmas TV programs. 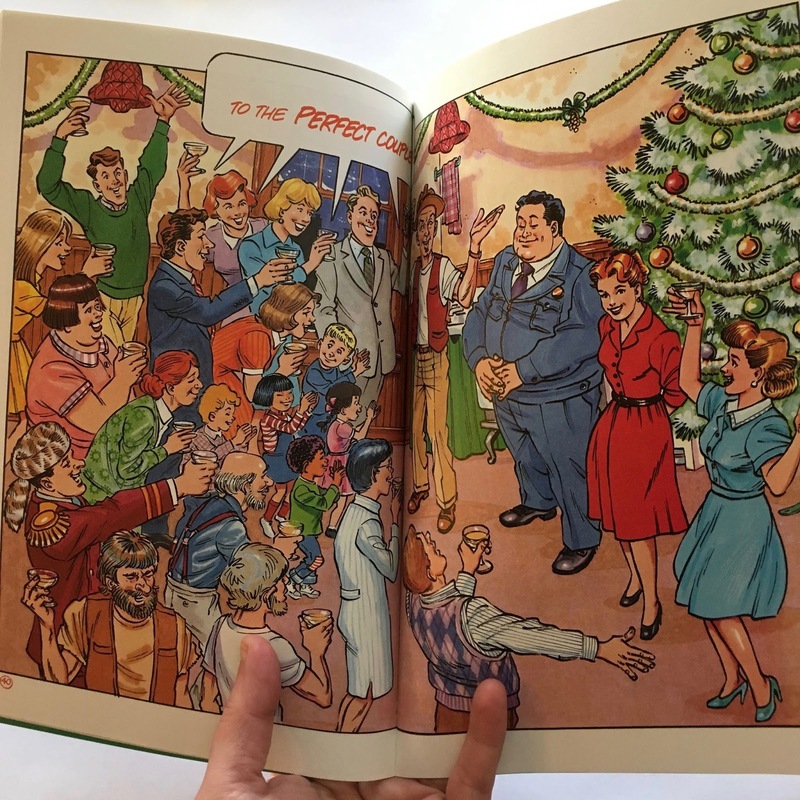 Instead, it is Ralph Kramden and Alice in a version of It's a Wonderful Life. What an amazing crossover, right? Another adaptation of the 1946 movie It's a Wonderful Life is this picture book version for children. It is written by Jimmy Hawkins--the same man who played Tommy Bailey in the original movie! This adaptation tells a similar heartwarming story but from the perspective of George Baily's son Tommy. Clarence the angel is instead helping young Tommy come to understand his importance to the family and community. Fascinating, huh? 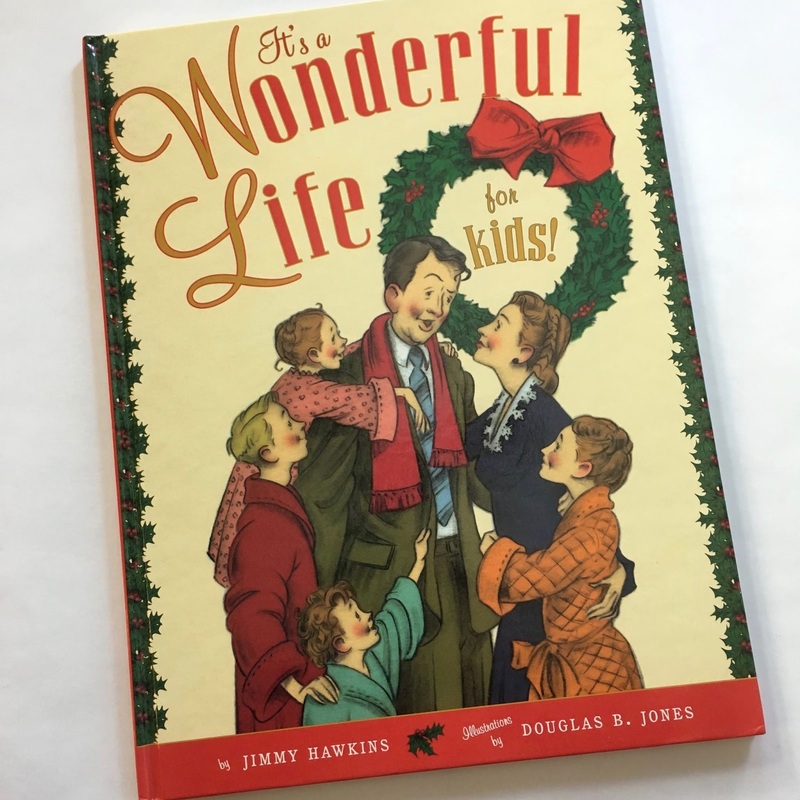 If you're curious, I wrote a mini-review of the book The Greatest Gift by Philip Van Doren Stern--the original inspiration for the movie It's a Wonderful Life. Click HERE to see that review again. If you recall from the earlier essay Christmas Books--Part 2, I shared four other books I have in my collection from Santa Claus: The Movie. Two of them were premiums from McDonald's Happy Meals (I'm still missing two from that series), another was a hardbound Weekly Reader edition, and the fourth was a pop-up book. Now I have a fifth book added to my collection. This is an oversize hardbound book--the deluxe storybook version. It's the best of all of them. The photos inside are all color stills taken the movie. Thanks again to Jeff who also passed this on to me. 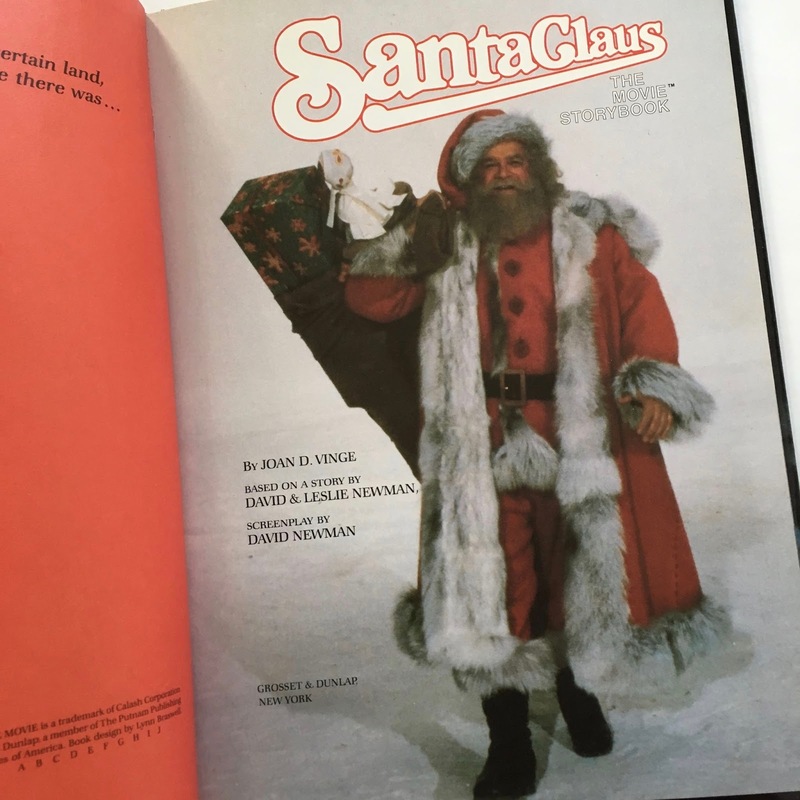 Look at that title page--David Huddleston in color! 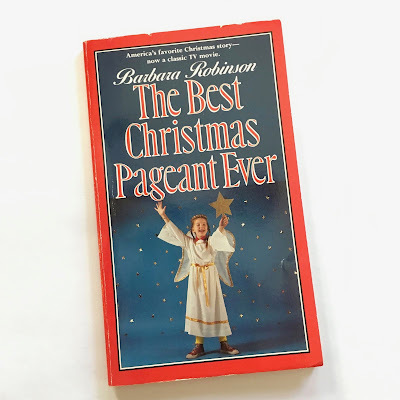 Another gift, this paperback book is a later edition of the Barbara Robinson best-seller The Best Christmas Pageant Ever first published in 1972. This charming story about an inexperienced pageant director managing a family of misfit children in a Nativity play was adapted into the 1983 Christmas special, starring Loretta Swit and Fairuza Balk. Check out my discussion of that TV special HERE. 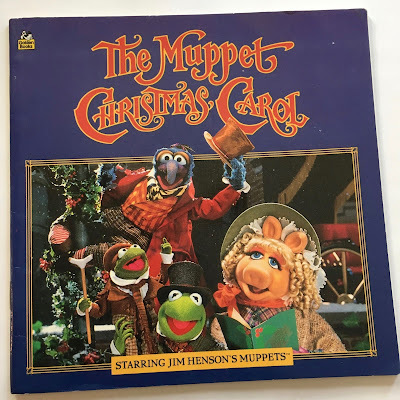 Another awesome storybook is this children's picture book of the 1992 movie The Muppet Christmas Carol. All the color photos inside are taken directly from stills of the movie. Nice. Another second-hand purchase was A Sesame Street Christmas. 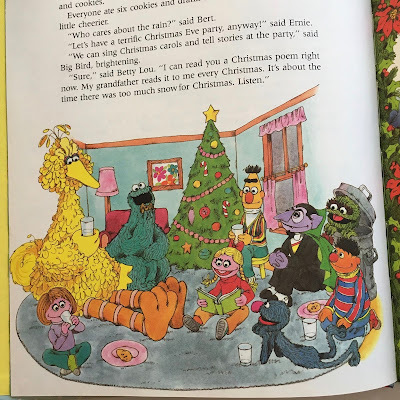 It is not adapted from any of the many Sesame Street Christmas programs but rather a collection of stories, poems, recipes, and crafts for children at Christmas. What a nostalgic treat! Hardbound from Running Press (2013) with sound clip buttons from the movie along the right side. 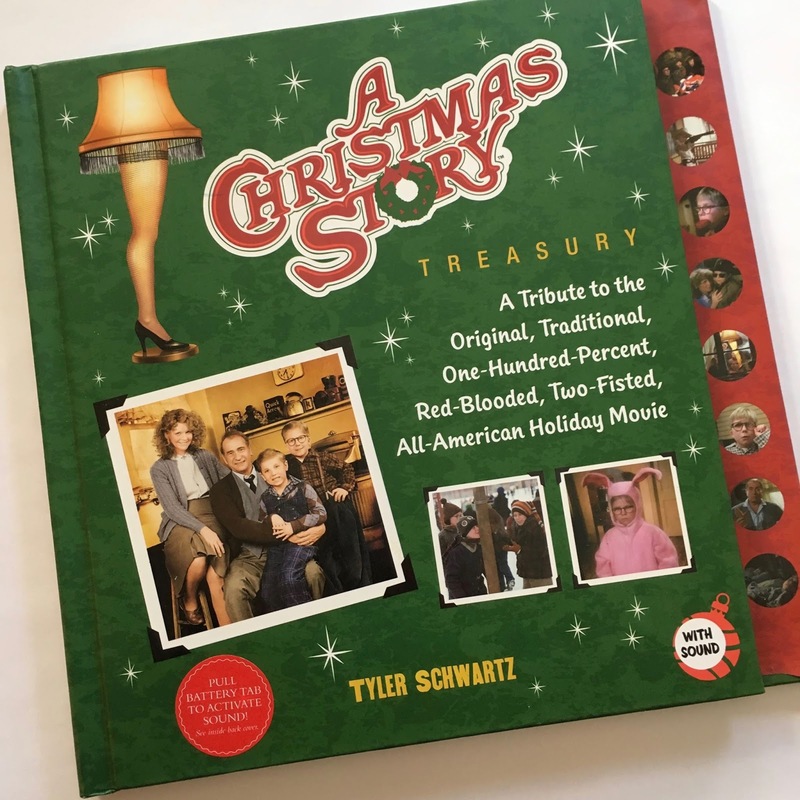 Last December, I finally had a chance to meet A Christmas Story superfan Tyler Schwartz in person. 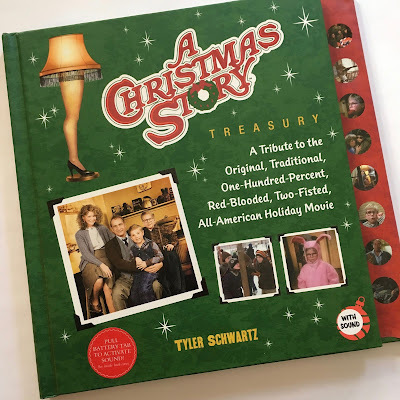 You may remember I wrote about Schwartz, his documentary film Road Trip for Ralphie, and this book A Christmas Story Treasury in my project Triple Dog Dare in 2016. We had corresponded by email and phone but meeting him in person was a treat! Schwartz attended the festivities in Cleveland, Ohio surrounding the Christmas Story House & Museum 5k race. I wrote about meeting him HERE. I picked up another copy of his book and got it signed by him. Actor Tedde Moore who played the schoolteacher Miss Shields in the movie was also there and I got her to sign it too! Have you seen this book about the making of the 1983 movie and its cultural impact? It's a fantastic read. 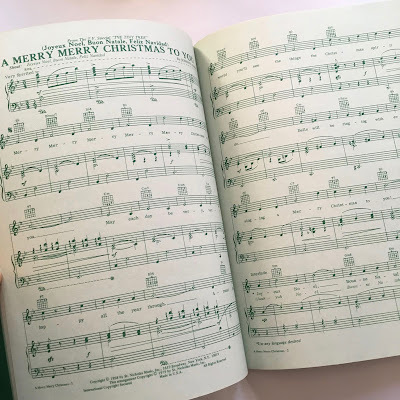 But the Christmas book I'm most excited about--and one of my more recent acquisitions--is this music book from The Tiny Tree. 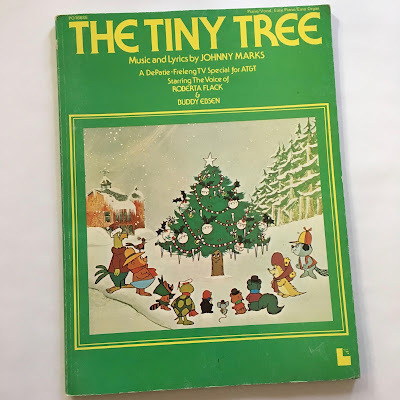 The Tiny Tree is an animated TV special created by DePatie-Freleng starring the voice talents of Buddy Epsen, Allan Melvin, Janet Waldo and Paul Winchell. Over the years, this charming half-hour special has fallen into obscurity. 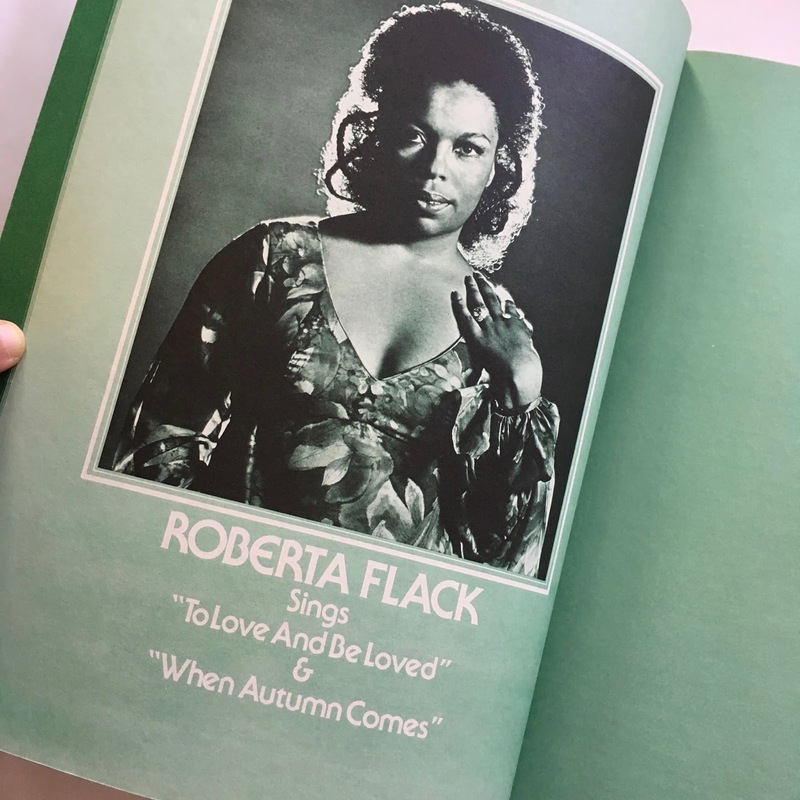 This book is essentially a music book for piano and vocals. 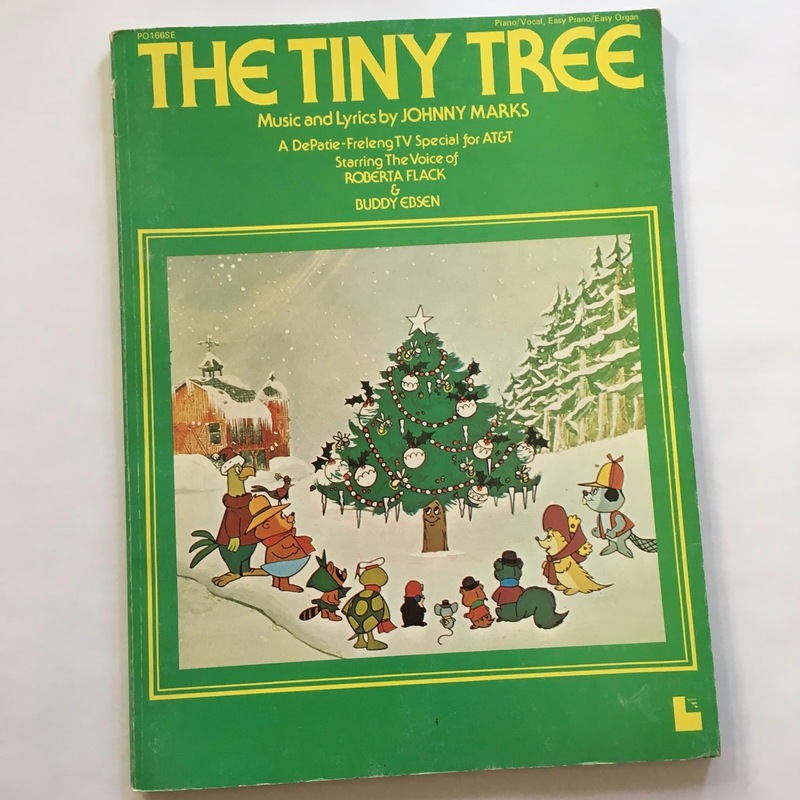 The music for The Tiny Tree was written by Johnny Marks--known for writing the iconic Christmas hits from the 1964 animated TV special Rudolph, the Red-Nosed Reindeer, and other Christmas classics. The book contains more than the sheet music for the animated special's outstanding music. Roberta Flack performed the main themes in The Tiny Tree. The book also includes lyrics for each song. This is awesome! 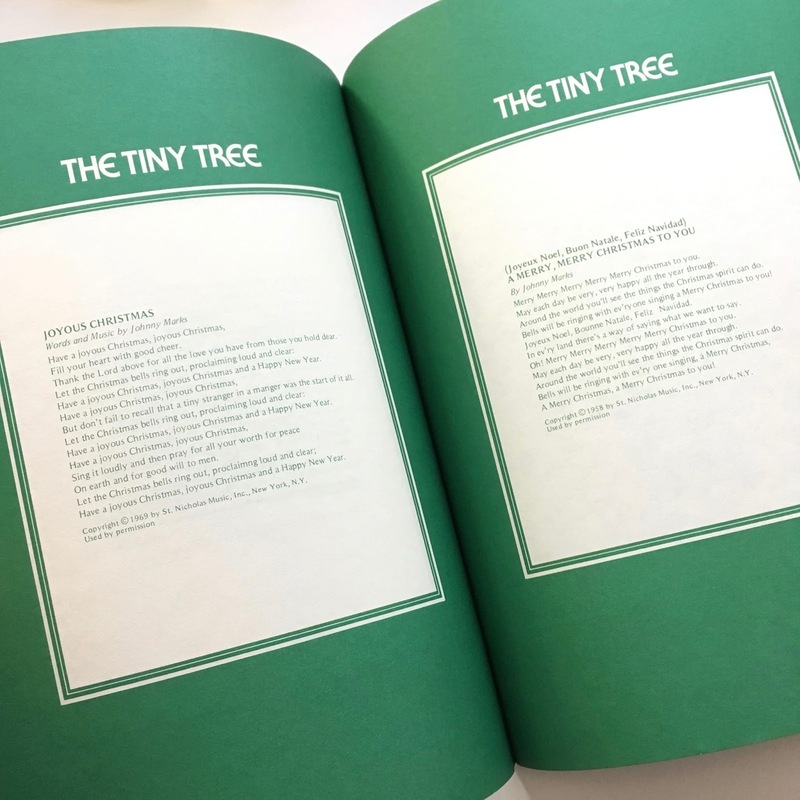 This oversize music book is a treasure for fans of The Tiny Tree. I didn't even know it existed until I saw it on-line for sale. Do you own any of these titles? 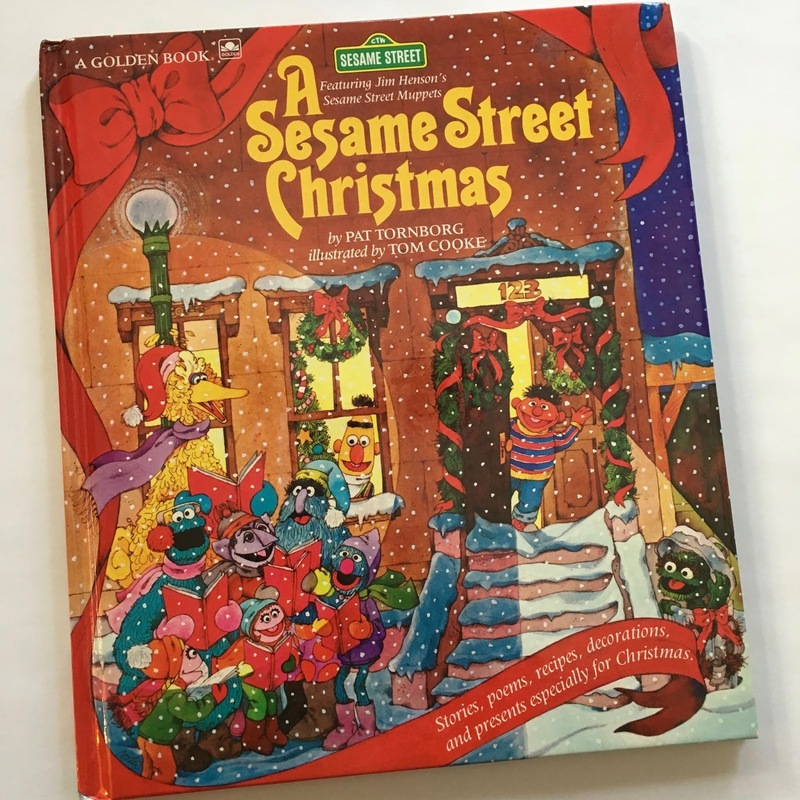 Do you have other books in your collection that inspired Christmas episodes, specials or movies, or were adapted from Christmas programs? Share the titles below. I love the cover of that Sesame Street Christmas Book! I may have to pick that one up. Such an awesome collection. I am jealous! I need to up my game, I think.